I want to write about a topic of my choice. How can I do that? You can create your own workbooks and tasks to write anything you want. This article describes how. If you don't want to write about the topics we have set for you, you can create your own tasks and set the topic yourself in your own personal 'workbook'. You can build up a collection of your work and it will always be there for you to consult and see your progress. To do this, you must first sign in or create a profile, so that your work can be saved and will be available on your desktop, laptop, tablet and mobile. It's free and very easy to do! This will give you access to a lot more essay questions and other features, too. Click on 'Create profile'. Then click on 'Create a Workbook'. Give your Workbook a title and that's all. Your Workbook will appear in the menu on the left-hand side of the screen. Click on your personal workbook in the menu. Then click on 'Create first task' to add your genre, topic, and title. Anything you like! 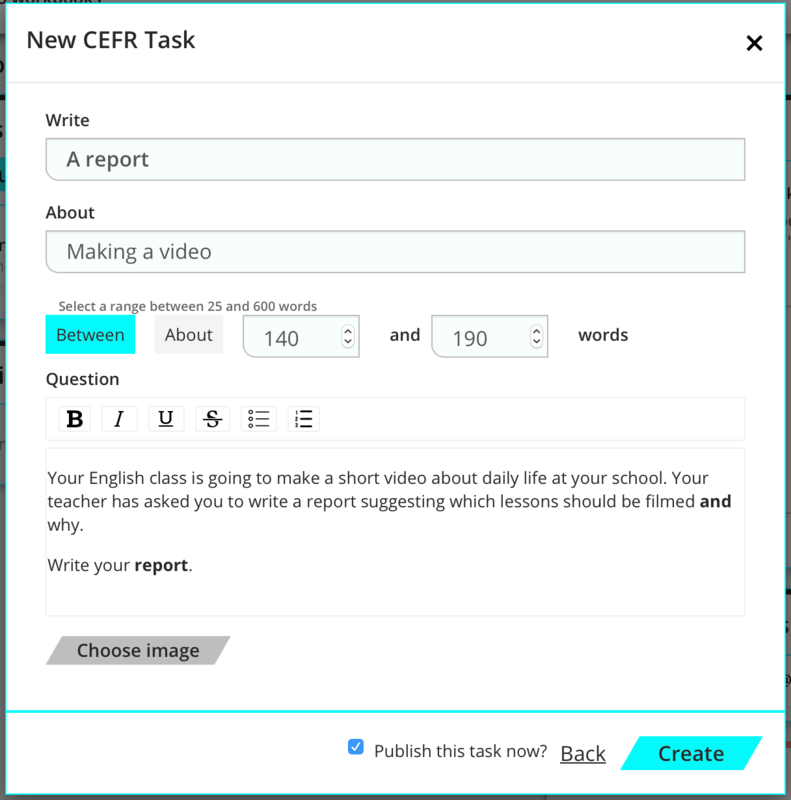 You can create as many tasks and workbooks as you like, as well.